Interleukin-6 (IL-6) is a cytokine which plays a prominent role in the coordinated systemic host defense response to injury. IL-6 regulates immune and inflammatory responses, hepatic acute-phase protein synthesis, hemato-poiesis, and bone metabolism. 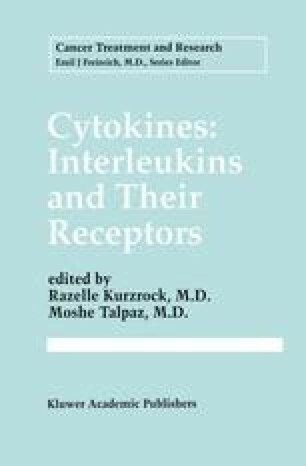 The structure of IL-6 gene and protein, and biological activities of the cytokine, are well characterized. The composition of the IL-6 receptor has been identified, and there has been substantial recent progress in the analysis of IL-6-activated signal transduction mechanisms. IL-6 expression in different disease states has been demonstrated; IL-6 may be involved as a mediator in certain aspects in the pathogenesis of infection, autoimmunity, and malignancy.